Hello Everyone! 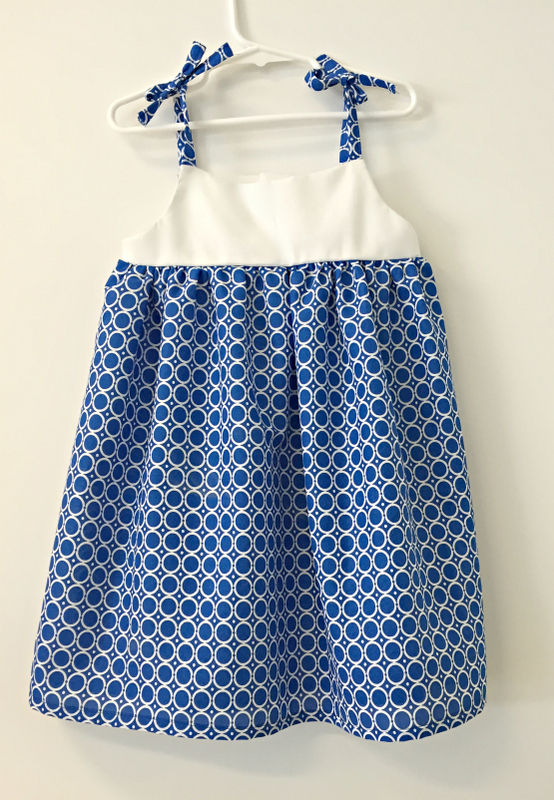 Found this blue fabric in my local fabric store in the clearance section and decided to grab it to make a cute dress for my 4 year old. Recently, she has decided that only boys wear pants and so is refusing to wear anything but dresses and skirts. This pattern was hand created from a dress in her closet. I only did 3 sizes because those are the only measurements I have. I am not a grading pro as yet to be able to sizes beyond that I can measure from current garments. This is a simple sundress with sleeveless armholes and straps. I places button holes at the back but if its easier for you, you can do hooks. The pattern comes in sizes 2T-4T. Hope you guys enjoy it! I was going to add pockets to the sides but ran out of time. The dress took me about 40 minutes from cutting the pattern to hemming the bottom. The pattern can be altered to be shorter so that it can be worn as a tunic or babydoll top over leggings. I plan on taking a few pictures tomorrow with my daughter in it and will show you how it actually fits. 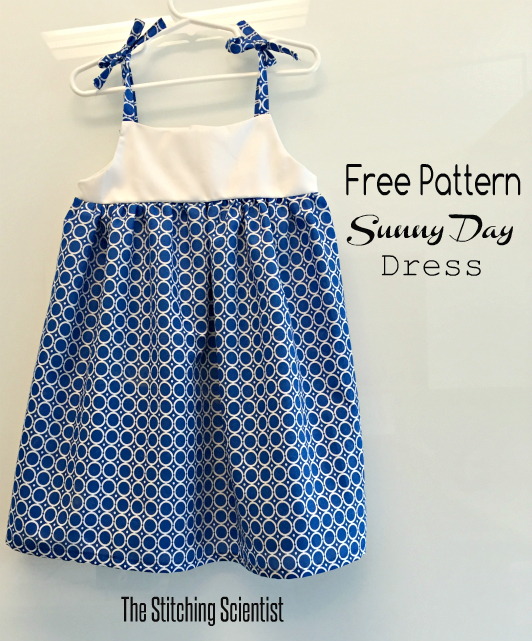 For this post, I decided to do an all in one PDF which includes the pattern and instructions. This is my first shot at doing instructions this way, so please bare with me as I master the art. I am still pretty new at all of this. You will need google docs to open the document in adobe and then print at 100 scale. There are a few skills that’s needed for the dress. These include sewing button holes and gathering.